It’s a remarkable time for gender lens investing, and for Criterion Institute. In the last few weeks alone, we’ve led and participated in conversations on gender lens investing at Opportunity Collaboration in Cancún, SOCAP in San Francisco, the Global Impact Investment Network Investor Forum in Paris, and the Gender Smart Investing Summit in London. We’ve seen coverage of the growth and popularity of gender lens investing appear in the Financial Times, Wall Street Journal, Barron’s, and Reuters. And we’ve watched governments, investors, entrepreneurs, nonprofits, and other diverse social change makers come together and commit to innovative partnerships that will shift global financial systems to work in favor of gender equitable social change. Criterion remains committed to continuing to build and shape the field of gender lens investing, pushing the field to see new possibilities, like using finance to address gender-based violence, developing and disseminating tools and resources for investing with a gender lens, and amplifying the voices of the early leaders in gender lens investing who are paving the way for others to enter the field. 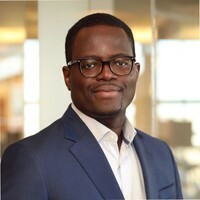 This issue of Criterion Connections, featuring Oxfam America’s Laté Lawson-Lartego, is adapted from a Conversation for Change led by Criterion Institute’s Director of Engagement, Christina Madden, at Opportunity Collaboration. Oxfam America partnered with Criterion on the recently released Blueprint for INGOs on Using Finance for Social Change. The Blueprint provides a framework and set of strategies for social change actors to see how the assets, expertise, and skills at their disposal can be used to influence financial systems for social good. Can you tell us about Oxfam’s approach to social finance, as an NGO? What are the most pressing social issues you’re working on with a gender lens and how have you used finance and investing as one of many ways to address those issues? Oxfam uses impact investing, along with other traditional grants and program-related investments, to tackle social injustice and poverty issues in our programming. Oxfam as a whole has a number of impact investing ventures we deploy globally to create economic opportunities for our impacted populations, including microfinance to small- and medium-sized enterprises and social enterprise financing. We also leverage our investments in the financial markets to influence shareholders and businesses to achieve social and environmental impacts. Right now, Oxfam America is launching a global initiative to economically empower ten million women and youth in food systems by 2030. We are interested in understanding gender and other social norms that prevent women and young people from achieving their full economic potential and securing their rights. We are focusing on women and young people as farmers, entrepreneurs, and workers in food systems. Impact investing with a strong gender lens will be one tool in our toolbox that we will deploy, building on our current capabilities and experience, as well as new partnerships. What are some of the most notable success stories you’ve seen in your work using finance and investment as a tool for gender equitable social change? The 100 women involved are showing notable results on their business acumen, profitability, and job creation, with about only 2% of loans in arrears. The program is also forging a network among the women involved to tackle gender-related issues that women are confronted with, such as gender-based violence, procurement issues, and other detrimental social norms in Guatemala. The current loan outstanding is at $1 million and our partner is eager to bring it to $5 million in the next couple of years. We are looking for partners to join us to scale this program to many more women entrepreneurs in Guatemala. Another area where we’ve seen success is shareholder advocacy. To move the needle on social or environmental issues with target companies, we invest our resources in publicly traded companies and take the opportunity to attend companies’ Annual General Meetings. We file shareholder resolutions and partner with likeminded and socially responsible investors to advocate for issues of common concern. In the food sector, we leverage this approach for our Behind the Brand Campaign, which pushes the top ten global food and beverage brands to act responsibly on many issues in their business practices and supply chains, including gender, labor, land, water, climate change, and income for small-scale farmers. The shareholder advocacy tactics we use have paid off in several instances and complement very well with other pressure points such as calling out companies publicly on their actions and fostering a race to the top. I am happy to report that many of the ten companies we’ve engaged through Behind the Brand made laudable commitments on the above issues and we are now advising and collaborating with them to execute their commitments and achieve tangible and measurable impact. What are the challenges to driving investments into the social issues you’re working on? What do you feel is needed to overcome those challenges? One challenge for the shareholder advocacy is that many NGOs and individuals don’t know they have the ability to use their resources in a way that can influence companies. Instead of blindly investing their treasury, they could use it strategically to shift the agenda. Many law firms or investment firms could advise an NGO with limited capacity on this matter. This is not rocket science! Gender lens investing is not just about creating a specific program for women. Many impact investors think that by creating pet programs for women or girls, they are doing gender lens investing. Although that’s a good start, we need to go further than that. 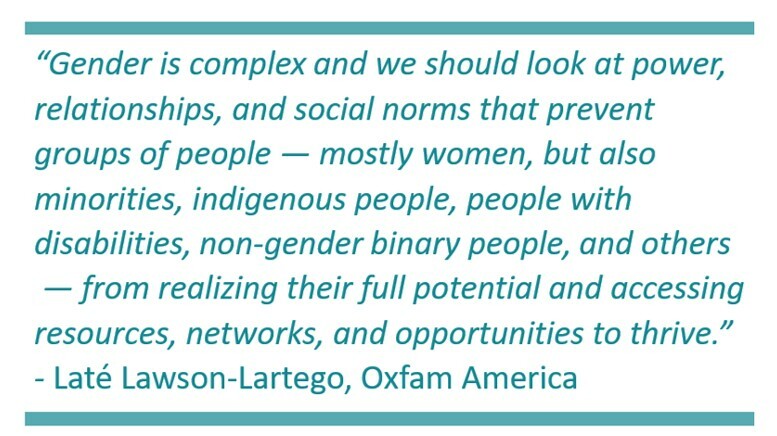 Gender is complex and we should look at power, relationships, and social norms that prevent groups of people — mostly women, but also minorities, indigenous people, people with disabilities, non-gender binary people, and others — from realizing their full potential and accessing resources, networks, and opportunities to thrive. Gender lens investing should aim to understand those dynamics and position investments for the long run instead of seeking short-term gains. The need to include impact metrics at the core of gender lens investing, along with financial returns, and being true to this remains a challenge. Where do you see the greatest opportunities? What are you most hopeful about? The field of gender lens investing is filled with wisdom and people eager to transform the way we invest to be gender sensitive, if not gender transformative. The emergence of gender certification for investment gives me hope. It looks like the United Kingdom is moving in that direction. We should definitely learn more from their experience. I also like the idea of pushing for gender reporting. As is usually said, what get measured get done. If companies and investors are required to report on their gender practices, this will become mainstreamed and shift the culture. We also need more men in the room and to come to the table. This is not just women’s issue. In fact, we need all kinds of people to be concerned with gender lens investment. As a community, we need to continue to demonstrate the business case and play a translator role to ensure that we all speak the same language. Popularizing this concept beyond developed countries will also be key and we have a role to play as a community. Finally, we need to hear more from women, men, and young people who are entrepreneurs and recipients of the investments. We need to empower them and create space for their voices to be heard in this discussion. To learn more about how you can be involved in Criterion’s work, please contact us at info@criterioninstitute.org.